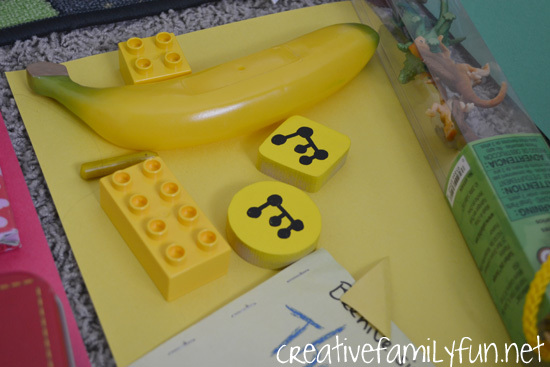 There are so many fun and playful ways to learn about colors. 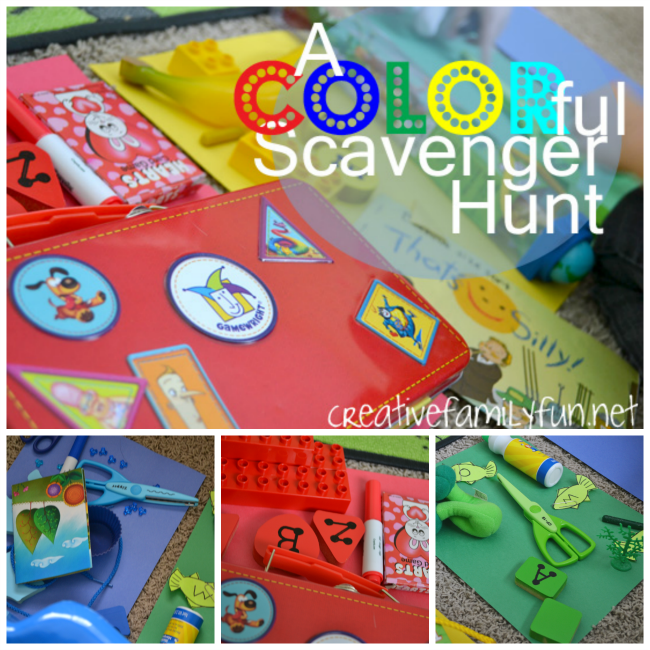 One of my favorite ways is with a color scavenger hunt. It’s fun for both preschoolers and toddlers. 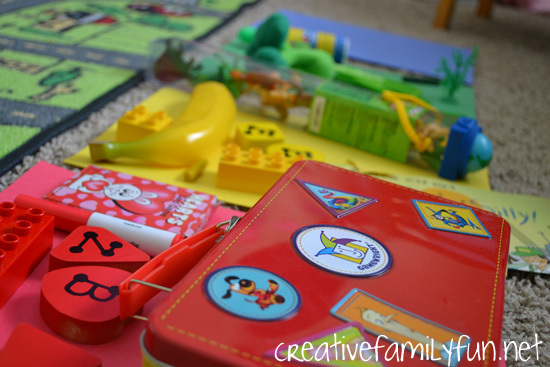 This preschool scavenger hunt is so easy to set-up. There is very little prep time so there is more time for fun. It took me only a few minutes to set this up. 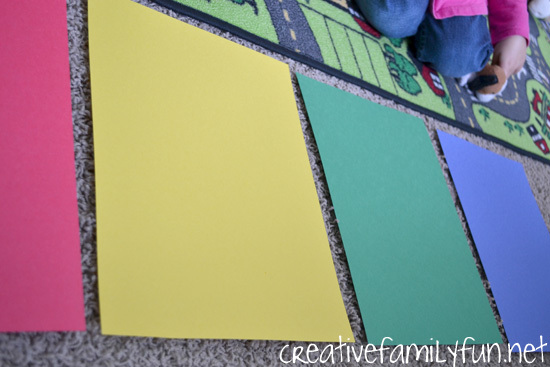 I chose several sheets of construction paper: red, yellow, green, and blue and laid them in a row on the floor. You can choose whatever colors your would like, but I just stuck with the basics. 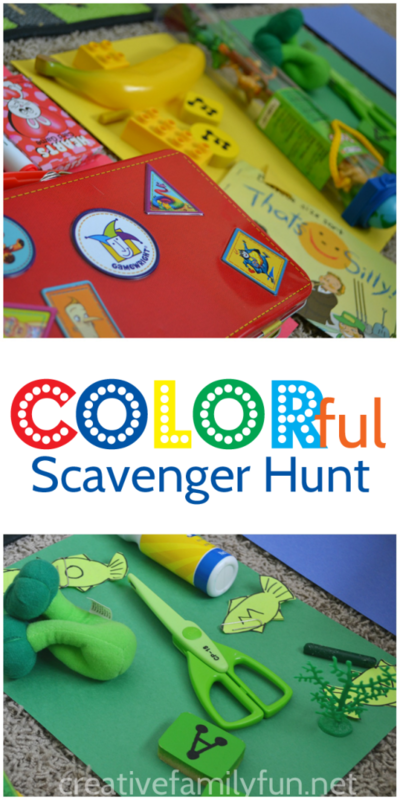 Let’s go on our color scavenger hunt! After our color hunt was set up, I sent the girls on their quest. They needed the find items that matched these colors and the items must be small enough to fit on a piece of paper. It turns out our house is full of small items in primary colors! Who knew? The girls found puzzle pieces, Duplos, crayons, card games, craft supplies, game pieces, play food, and more. They brought all the items over and put them on top of the correct piece of colored paper. It was so much fun to see the items that they found. This simple color scavenger hunt got the girls thinking and moving. It was perfect for some indoor fun on a rainy day or a cold winter’s day! Do you kids like to go on scavenger hunts? It’s a favorite game at our house! Planning time: Under 5 minutes. Or, as long as it takes you to find some construction paper. Ages: Preschool and toddler. While anyone can play and it’s a fun family activity, this activity is best enjoyed by kids under age 5. Time Needed: Varies. You can follow your child’s lead with this activity. When they start losing interest, it’s time to wrap up the scavenger hunt. Notes: It can also be fun to set a timer. For example: How many red items can you find in two minutes?